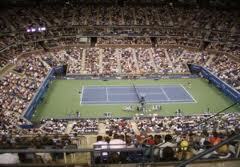 Montgomery County officials expect to see a lot of thirsty people at the U.S. Open. The event is predicted to bring more than 300,000 people to the county and earn between $400,000 and $500,000 just in alcohol sales, Assistant Chief Administrative Officer Tom Street said Tuesday morning. All 10,000 county hotel rooms have been booked, and all championship round tickets have sold out. Overall, he estimated that the golf championship at Congressional Country Club in Bethesda will bring “well over $1 million” to the county.